When you have a beautiful home, you want to make sure that every room is designed and maintained well. Many homeowners also want to make sure that the interiors and décor in their home looks unique and attractive. In this context, cabinetry becomes an important aspect. Some spaces like kitchens need special attention in terms of the materials used. This is because, almost all kitchens see a lot of wear- there is water, steam and grime that collects on tiling and other surfaces, which mars the look of the place. You will surely want materials that are hardworking and durable and ones that will be able to resist moisture, bacteria and stains. Just as you focus on functionality, you also want to make sure that your kitchen looks as beautiful as the rest of your house. In addition, you also want to be assured that the cabinets in all the other rooms look distinctive and attractive. If you are particular about the look of your home and want something that is different, you should opt for the services of an expert custom cabinetry contractor like Bristol Construction. We are an all-service design & build company and have years of experience in this space. We have served hundreds of customers across Sacramento, Folsom, Citrus Heights and the surrounding cities and have a large number of repeat clients who ask us to handle their home remodeling projects. Custom cabinetry becomes an important aspect of this job. With our focus on customization, attention to detail and use of high quality materials and workmanship, we ensure that you get the kind of solutions you want at very reasonable price points. The cabinets designed by us will always have a distinctive look, be highly functional and will last for years without any trouble. We have a very creative designing team that has insightful concepts and ideas that help make your home look stunning. 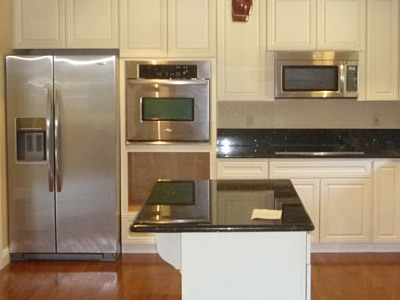 What’s even more important is that our cabinetry will meet all your function needs to perfection. If you have a vision for your home, we will give it form. Our team works very closely with you to understand what your specific requirements are and provides solutions that work perfectly for you. The focus is on providing a range options when it comes to materials and finishes and we take the stress out of looking for that perfect veneer or hardware. Regardless of whether you want custom cabinetry that is designed in a rustic, Victorian, Shaker or Euro styling, we have just the solutions for you. Our design team is completely in sync with the latest trends and material launches and ensures your home dons the look you want. For more information about our custom cabinetry solutions, call Bristol Construction on 916-798-4827. You can use this form to send us an email.